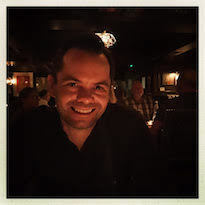 Ewen is a Senior UX Design Manager at Google in Fremont. He leads of team of 10 designers, researchers and writers focused on the interaction model, components and overall systematic quality of the Google Cloud Platform. Prior to joining Google in 2014, he spent two years at Frog Design where he worked as a Sr Interaction Designer on web interfaces, automotive UX, mobile applications, 3D UI and in-store experiential UX. He’s also worked at Microsoft in the Startup Business Group and spent many years in digital marketing on sports / lifestyle focused campaigns and Flash based microsites. Ewen’s design sensibilities balance him somewhere in between technology advocate and skeptic towards the pervasiveness of the role it should play in our lives. He believes in a humane centric design philosophy and is an ardent follower of the works of Sherry Turkle, Jaron Lanier & Jonathan Harris. He holds degrees in Art History and Interactive Media and has been a Seattlelite since 2010 when he moved from his home state of Vermont.